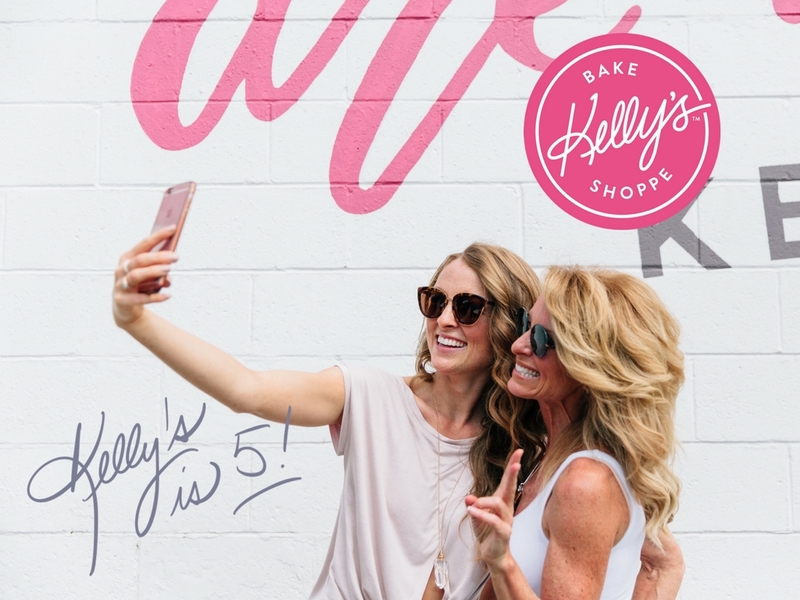 Kelly's Bake Shoppe is Turning 5! YES FIVE! I said out loud 5 years ago that I was living my dream. I was 49 and about to embark on the thrill of a lifetime. My little mud pie bakery that I experienced when I was 5 years old, in my family’s backyard, was about to become FULL SIZE in December of 2012. Kelly’s Bake Shoppe was about to be born! My creative heart was exploding with a connection to the divine like no other. I am doing exactly what I ever wanted to do. We are both doing exactly what we ever wanted to do. I’ve been able to spend my long days and nights with my daughter and be in my creative, healthy space 24/7 with amazing girl power staff and brilliantly empowered individuals, the most incredible customers and so many fans. Thank you – from Erinn and I – for allowing us to be in your lives. It has been a true honour. From birthdays to weddings, romantic date nights, maybe a “1st cupcake ever eaten” or “1st brownie ever eaten” experience, from happy times to sad times, even lonely days or joyful nights, farewell parties, and everything else in between. We have been included in your special moments and for this, we are so grateful you chose us. Every day, for the past 1856 days that we have been open, we have dedicated our hearts and souls 24/7 to this heart-centred business. We immersed ourselves in this culture (and developed a following of) to grow and make us better people, we were so scared! Terrified to be honest. 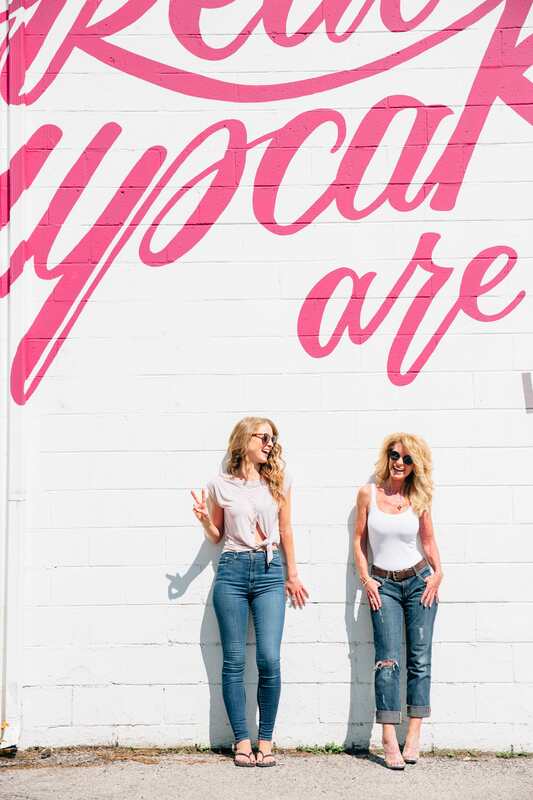 We work tirelessly to improve our brand, to connect with the planet, to improve our connection to ourselves, and just rock our world with no limits. To our credit, we have now been on National TV 14 times, we have been voted Best Bakery and Best Cupcakes and Best Service for all of Burlington for 5 years straight, we made it to #1 on Tripadvisor with over 1000 reviews. We are now also ranked #3 in the world on a very cool Bucket List. Our biggest gift to ourselves is to give back others. We have been able to help those in need and also add some fairy dust to young female entrepreneurs. To date, there are 316 charities we have been involved with (including Farm Sanctuary, Halton’s Women Shelter, and Halton Down Syndrome Association), we have donated over $188,032 in donations towards them, and we are a major sponsor for Degroote Women in Business and not to mention…..we are the Platinum Sponsors an Atom B girls hockey team – the Barracudas! This is our goal: To inspire everyone to see life through a lens of love and realize that obstacles are simply detours in the right direction. How do you do this you ask? By seriously hard work! By connecting to people with our heart centres and not our minds. We lead with love in everything we do. We also know that dreams don’t work unless you do. We decided to dedicate our lives and our work to making the planet as joyful and full of love and connection and all-inclusivness. There are no shortcuts, no magic spells, no secrets. We merely executed an effective, day by day approach to making a difference in the world. Even on our blog, “Kelly and Erinn” we do for the love of it. We don’t get paid for it. We started it to reach even more of you and touch your souls. We created it to share what we are learning on this planet with the hopes we can add a morsel of goodness in your life. A new way to live, a new way to look at the world, a new way to eat, a new way to develop passion for what matters most to you and love your life MORE! Bring this burger to your next BBQ party. Congratulations go out to Kelly, Erinn, and every single employee and customer who have made Kelly’s Bake Shoppe possible. Is there any limit to the number of 2 for 1 cupcakes I can buy??? I wanted to buy a dozen to bring to the guys at the firehall. P.S. where can I park a fire truck? That is so awesome! Congrats you two! So happy that I have this great gluten free bakery within walking distance to my house. Thanks Malcolm. Stale GF cookies really don’t cut it at all. We are so thrilled you can walk to our locale. We LOVE what we do! Any new TV appearances coming up? I love seeing more gluten free foods promoted on TV! I actually did try my first ever brownie at Kelly’s Bake Shoppe! 5?! How about 50! I don’t know what I would do if Kelly’s Bake Shoppe wasn’t there! We love that idea! Thank you Nelda.